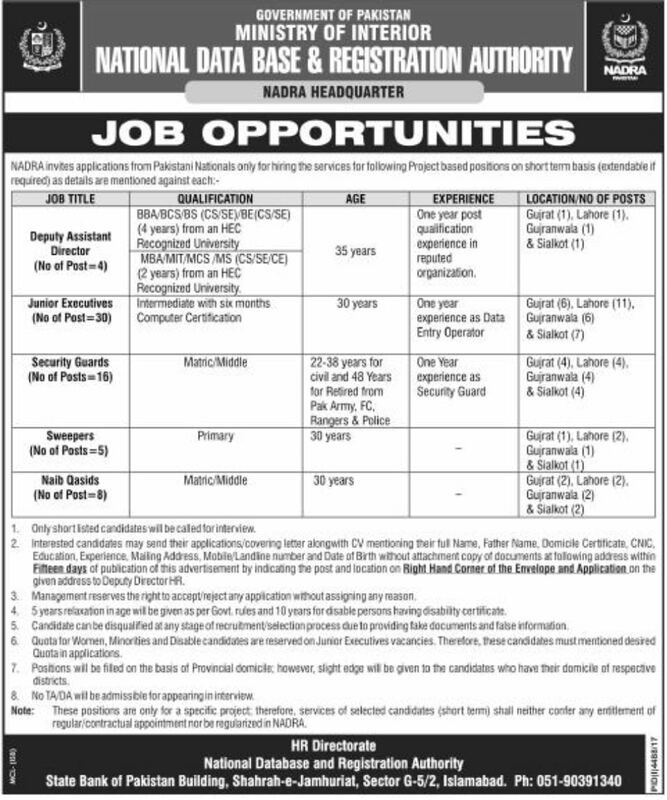 National Database And Registration Authority NADRA new job in Islamabad 2018 has announced for the posts of Deputy Assistant Director, Junior Executive, & Security Guards. Interested candidates may send their Applications/covering letter along with CV mentioning their full Name, Father Name, Domicile, Certificate, CNIC, Education, Experience, Mailing address, Mobile No. 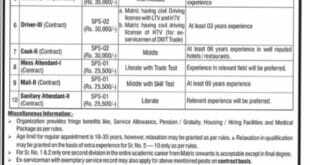 & Date of Birth with attachment of document at following address with Fifteen days of publication of this ad by indicating the post and location on Right Hand corner of the Envelope and Application on the given address to deputy Directer HR. Aslmualikum sir I need job naib Qasid.